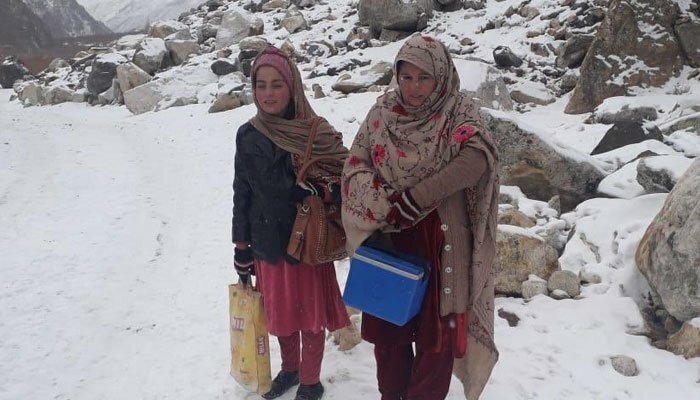 Two female polio workers have been hailed a hero by social media after pictures of them treading through the heaps of snow during a frigid weather went viral. The picture shows the two workers in the remote Gobor Valley in Chitral, making their ways through the piles of snow in the harsh, cold winter of Khyber Pakhtunkhwa to vaccinate a newborn in their fight to eradicate the epidemic from the country. Subsequent to the images getting widely circulated, messages of support and praises started pouring in for the two valiant workers.